Christenings, also known as baptisms, are joyful occasions when a child or adult is welcomed into the Christian community and begins an amazing journey with God. If you are thinking of having your child christened, you don't have to be a regular churchgoer, and you don’t have to have been christened yourself. 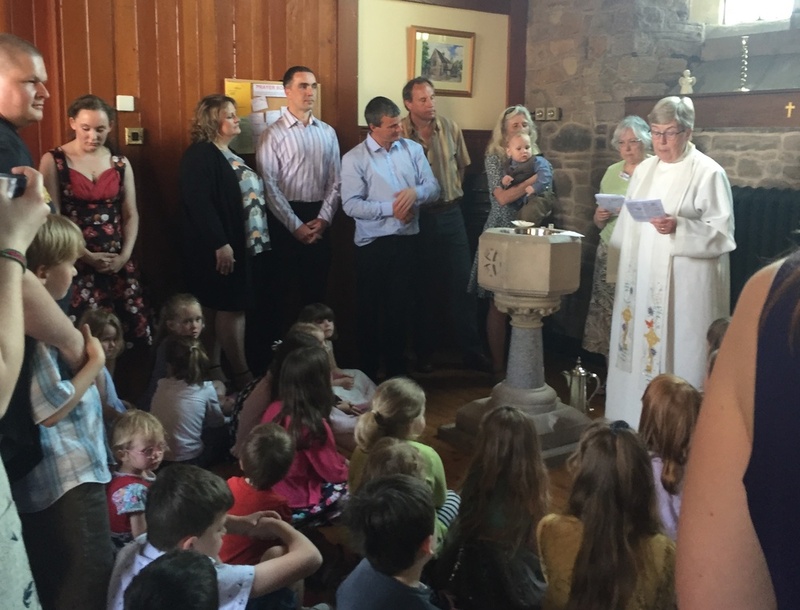 In the Parish of Whaley Bridge, we hold christenings at both our churches - St James’ Church, Taxal and Holy Trinity Church. Christenings usually take place on Sundays and you can choose whether you would like your child’s christening to take place during the main morning service at 10.30am or at the later time of 12.15pm. At 12.15pm, the service just focuses on the christening and lasts about 20 minutes. We have also held a christening during our bi-monthly Messy Church. If you were not christened as a child, you may be thinking that you would like to explore your faith further and take that step now. Christening or baptism is the first step a person takes in becoming a full member of the Church. The second step is confirmation and is when you affirm your faith and your intention to try to live a life of committed discipleship. This affirmation is confirmed through prayer and the laying on of hands by the confirming bishop. Again, if you would like to know more, please contact Revd Margaret.